My wife and I just had our first baby, and as everyone predicted (in no particular order): We have lost sleep (and hope to find it again someday), we can now change a diaper in the dark in under fifteen seconds, we are in constant awe and amazement, and our world has indeed been turned upside down. When your world is turned upside down, whether for joy or for tragedy, it seems to attract both people and food. The food is (usually) a welcome gift because it’s one less thing to have to think about while you try to right yourself in the new season that has arrived. When it was easy to come home and cook dinner (before our little one arrived), I took for granted how great it was to have a hot meal to sit down to and enjoy. Now it’s a little (lot) harder, and we so appreciate the effort people went through to bring us dinners for a little while – it enabled us to put our focus on trying to learn how to be parents. As a result, never in my life have I appreciated more having a meal provided for me. I went from the kind of person who would have had trouble accepting that kind of help to the kind of person who opened our front door wide for the parade of food that descended upon us. Talking with a friend about this season that we are in, I reflected on what to do with that appreciation. Obviously, thanking the people who came by to feed us was a start, but my friend challenged me to use that appreciation to meet someone’s similar need. His point was that the appreciation inside me was there so that I could understand how much I valued having that need met. This was the time to provide the same thing, while the iron was hot and the need was most felt. So we’ve gotten a little creative, sometimes it’s a take-out pizza with a box of salad (by that I mean the boxy-type things some store-bought salad comes with now) – I’ve had to swallow the pride of wanting to show up with a fully prepared meal. Honestly, it was rather easy to provide a meal since so many meals had been provided for us, but I asked myself – would I have still been willing to provide a meal during our time of need even if no one had shown up at our door? That’s the challenge I’ve given myself going forward – to identify my needs and try to meet them in one other person’s life even if that need has not (yet) been met in my life. So your challenge this week is the same. What’s your need right now? It might be a meal, but it also might be money for Christmas gifts, a gift of time, or just a note or word of encouragement. Whatever your need is, see if you can think of someone in your life with the same need and do your best to meet that need in their life. While it’s true that meeting their need may not change yours, you will have done two very important things – you will have increased your capacity for generosity and met a very real need for someone else. Both have the added effect of impacting your spirit of generosity, which is a need for all of us. Recently, I’ve had a few people forward some spam and “phishing” (trying to get unauthorized information from you) e-mails that they have received, and I am saddened to report that the bad guys are getting better at this. While your e-mail program or computer might have good software to block these, the people who have chosen these unseemly activities as their pastime are working hard to make what they send you believable. As we enter into this holiday season, both work life and home life can get busier and we are more susceptible to rushing through e-mail and thus are more vulnerable to these attacks. Becoming a victim to one of these can be just what is needed to derail us from where we truly want our focus to be, and it can even take money away from us that we could have chosen to be generous with. 1.) Is the e-mail from a company that you normally have accounts or activity with? If not, and they want information, forget it. Likely this is illegitimate, but even if it is real, they don’t have a right to your information or to get it this way. 2.) Always look for grammar, spelling and punctuation. These e-mails often come from other countries and are sent by those who don’t have the best grasp on the English language. Big companies normally have people who do nothing but check the grammar, spelling and punctuation on e-mails that go out to customers. If you see bad grammar, over or under-punctuation, or bad spelling, toss the e-mail. 3.) Check the sending e-mail address. The e-mail may appear to say it’s from “Citibank”, for instance, but look deeper into the actual address that initiated the e-mail. You can usually do this by clicking on it or by setting up a blank reply e-mail to see where it goes). If the sender has an e-mail address that begins with something obscure and/or ends in @yahoo.com or @hotmail.com, or ends in something even less well known, you are looking at a phishing (or scam) e-mail. 4.) The main way these e-mails can get you is by getting you to click on a link within the e-mail, so when in doubt, DON’T. Sometimes these links will open up into something that looks like the company’s website but is just window dressing to try to get your information from you. If in doubt, go directly to that company’s website (without using any links in the e-mail) and log into your account that way, or send them a customer service e-mail asking them if the e-mail is legitimate. If you get one of these, just delete it. If you have extra time (and for extra credit), send a copy of it to the company who’s being imitated so they can alert their other customers. And then pray for the people who sent it. A few years ago, I started receiving some gifts that came in envelopes but weren’t cash, weren’t gift cards, and they weren’t homemade coupons for washing my car the following summer (though those in particular are always encouraged.) These gifts weren’t even for me. The gifts in these envelopes were given to me by people who had helped others in need, but done it in my name. The envelope contained a simple certificate that honored me as the reason the gift was initiated. OK, true confessions. I will admit when this started I felt somewhat cheated. I mean, I’m glad someone somewhere got some help, but where was my gift? My possessions? The things that were going to continue to get me ahead in the world? At least throw a gift card for me in with this gift for someone else, right? Sort of a hybrid gift? Not very generous thoughts, I know, but I think that is the default for a lot of us. I got married last year, and with all the fun and celebration there came the very real task of consolidating two people’s earthly possessions which, for my part, took about as much planning as the wedding did. And while I didn’t make the connection immediately, as I sorted through my stuff, I realized that many of my possessions I had hung on to out of sentimentality for the giver, or on the off chance I might need that third yo-yo someday. This Christmas season, my thoughts have begun centering around the sad fact that many of my possessions don’t do much good sitting around – how I wish that my stuff could do more good than just sitting here with us. 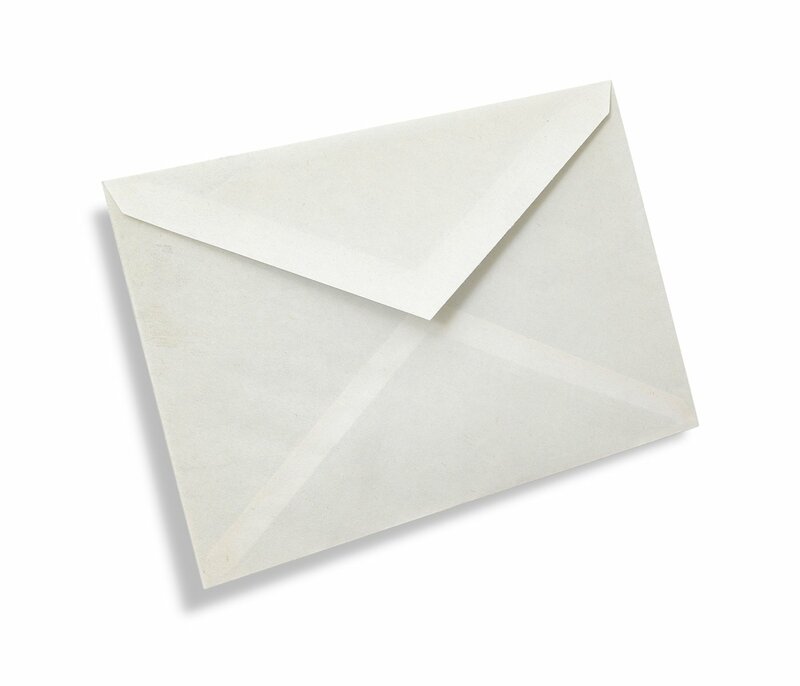 And, slowly but surely, I have begun to realize the “power of the envelope”. Instead of leaving me with more stuff, other people’s resources have gone into very real and tangible gifts that are at work doing very real and tangible good, most of which I will never see, but for which I can be as aware (and thankful) as I choose to be. I am thankful that stuff that I never received is doing way more good than stuff that is sitting around my house. So I’m still giving out some “real” gifts this year, when an item or thing makes me think of someone in my life and I know they would appreciate it, but I’m also giving out more envelopes this year. And I can’t count the number of people who have told me they “have enough stuff”, which is saying something since counting is my profession. My hope is that by choosing some gifts that actually help others who are in need, my heart (and our hearts) will continue to fall more in love with all the good we can do with the good we’ve already received. We are truly blessed to be a blessing. The challenge? Give at least one “envelope” gift this year. Many charities have made it very easy, even offering “gift catalogs” for you to send these kinds of gifts to others in your life. Merry Christmas, Happy Holidays, and see you in 2016! Yes, I know what you’re going to say, Christmas is already here, it’s too late to save for it. OK, I’ll grant you that. But if I had one Christmas wish for you (and for me), I would wish that in that realization, we would make the most of the situation we’ve got. I wish we would all Count on December. You might expect me to offer some sort of advice along the lines of spending less this holiday season, not using expensive gifts to make up for lack of creativity (or thoughtfulness) during the year, or other hints I gave out in a previous post, Christmas in March. 2) Count on December – If in fact the holiday season has surprised you this year, see #1. Then, make it a point to track faithfully what you’re spending on Christmas this year, including all the various categories (having people over for dinner, tips for garbagemen, etc.) This total will give you a goal to shoot for next December. Then take this amount, divide it by 12, and put that much money aside each month next year, starting in January. 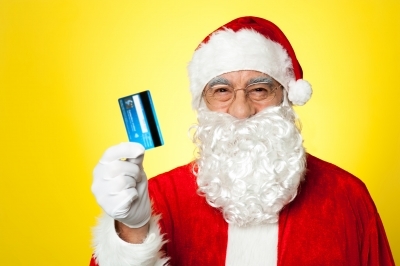 You’ll step into next December with a Christmas fund, ready for action. If you combine the above with the use some of the filters discussed in Christmas in March, you may find ways to give away some more of that money you’ve saved to those in need. “Counting on December” will allow you to enter next year’s version of December less stressed, better prepared, and hopefully – more generous. A friend of mine was losing sleep the other week, concerned about his financial future. Not the “it’s what I’m thinking about as I drift off” kind of losing sleep, but more like the “I wake up every two hours thinking about it” kind of losing sleep. Suddenly, a few days later, he was sleeping like a baby. The secret? No, not the lottery, and inheritance, or a huge tax refund. My friend had given his savings a name, or more accurately, several names. And it made all the difference. We’ve spoken here before about having financial goals – things that you’re planning and saving for that you know you’d like to make happen (or that might happen to you – we call that emergency savings for that very reason). Saving money is great, but sometimes we have a tendency just to save, and never connect our saving to the goals we’re aiming for. When we connect our goals with our savings, we can see how the buckets are (or aren’t) filling up – and, most importantly, when a bucket is full so we can get going on the next one. I’ve seen some folks with more savings than financial goals (it would be nice, right?) who are worried they don’t have enough until they name their savings. Start with your list of financial goals. These are usually things you know you’re going to need money for (saving for a down payment on a house, an emergency fund, paying off debt, or for the next car or vacation). Once you’ve got them listed, put them in order of priority. 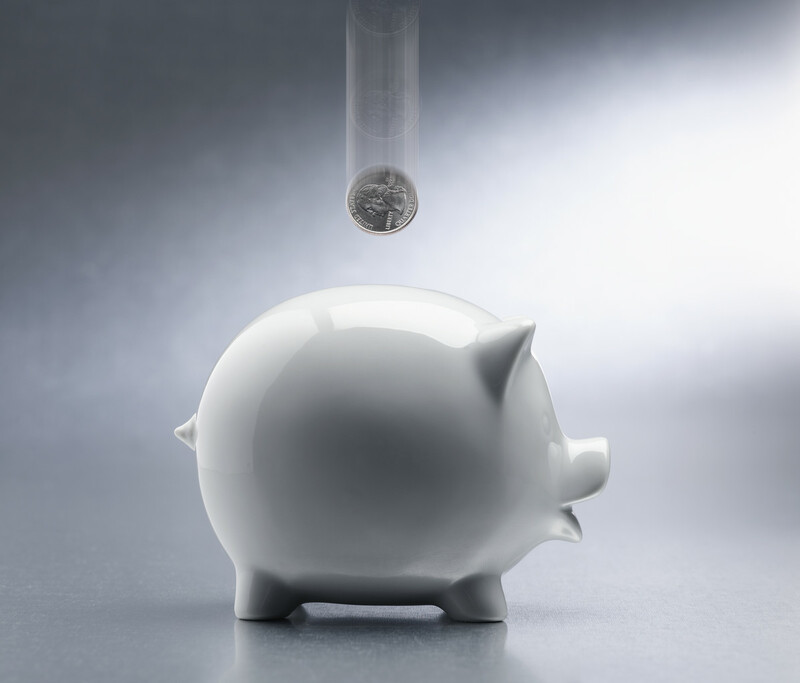 If you need a nudge, put emergency savings (usually three months of living expenses) at the top of the list. Knowing you have this set aside helps you sleep way better. Add up what you have in savings – money that you have set aside and can get to easily. This does not include money that’s in your retirement plan at work or anything that costs money to get at. It does, however, include, any buffer in your checking account and those US bonds Aunt Maple gave you 10 years ago that you have yet to take to the bank. Start assigning your savings to your goals. Simply go down your list of prioritized financial goals, and use the money you’ve saved to fill each “bucket”. If you find that you’ve run out of money before you’ve run out of goals, go to Step 4. If you find that your money has made it all the way through your goals, congratulations! You’ve got more than enough savings to meet your financial goals. Now you get the fun of thinking through what else you could use that money for, or if you want to think generously, how you can give it away! Sometimes, it won’t seem like your money has stretched to meet all of your financial goals. This should be some extra incentive to work your budget (see the two-parter on budgeting) so you can assign more of your money to saving toward these goals (and filling those buckets!) Don’t get discouraged, but do get to work saving! Also, take a step back from your goals and make sure they are reasonable. There comes a point where we start saving for stuff at the expense of living and giving. Previous examples I’ve seen: saving for the “second” next car after already fully saving for the next one, trying to save enough money to be unemployed for 10 years, and being 28 years old and saving for a 50th birthday bash. At some point, we have to remember that over-saving will rob us of the ability to enjoy life as it comes and will also rob us of the opportunity to be generous – we’ll always convince ourselves there’s something else to save for. Ask some close friends to help you think through this if you’re having trouble. Lastly, consider setting up one of your buckets for “generosity”. It’s one thing to give money to our church or friends as small needs come up, but sometimes we may feel led to make a big dent in something really important – helping someone adopt a child, start an orphanage in a foreign country, or helping a family through a big loss. If you’ve got some money set aside for these big circumstances, you can experience some really cool generosity! It’s also a great stretch for your heart to save for something like this without knowing specifically what it is yet – give it a shot, I promise it will be worth it. So name those savings! Most of our worry and fret regarding our savings is because we don’t know when enough is enough. So name each bucket and then at least you’ll know. Even if you don’t seem to have enough saved, knowing what the situation is will help you focus and rest in the knowledge that you have a plan (we call that a budget). As always, feel free to shoot us questions or other helpful tips! Make yours a generous city! Debt can seem normal and needed (“everyone’s doing it”) until it starts to place demands on your life. Debt loads us down with financial burdens that keep us from things like financial freedom, generosity, and saving for future needs. We look to those who have money (and therefore who we borrow from) to provide for us what we can’t provide for ourselves…and what we won’t wait for God to provide for us. With the typical college student leaving school weighed down with over $24,000 to repay, we get started off on the wrong track. No one is contesting that your degree (if you have one) is a good thing, but it also can come with the reality of a heavy debt. If it’s not student loans, it might be credit cards, personal loans, car loans, or other debts (we’ll leave houses out of the discussion – another blog for another day). Compare yourself to others. You can take comfort in the fact that some people leave their schooling with over $250,000. Some people out there are millions of dollars in debt. Don’t stay here too long, remember that they’re not you and you have debt to take care of. And they certainly can’t help you out – they’ve got bigger problems, right? Let’s skip this one. You can duck, dodge, or try to throw a smokescreen. 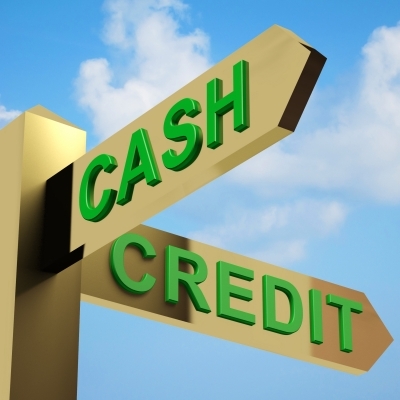 This can include choices like not paying, debt consolidation, and even bankruptcy. These are extreme measures that often have really significant consequences (despite the ads on TV and radio that make them sound like a trip to Disneyland). These things are for when there is nothing else you can do. Not a great choice either. Ultimately, the reality is, by taking these loans (yes, even credit cards count) you have given your word that you would repay the debt you now have (insert guilt trip about integrity here. Sorry about that. Sort of). Assuming you agree with that, you now have two other choices: pay it off slow, or pay it off fast. The real cost of debt is not as much about interest charges or fees – the real cost of debt is our freedom. Debt loads us down with financial burdens that keep us from things like financial freedom, generosity, and saving for future needs. You can keep paying the minimum if you want, but get ready to drag that debt around with you for a few years, a decade, or more. Get together a list of all your debts and your monthly payments. Stare at the list for a while. Think about it. Stare some more. If you’re feeling kind of sad, skip that emotion and go straight to mad. Don’t grieve something you can still do something about. Get mad at the debt, wish it gone, get ready to make the changes so it can happen. Go re-work that budget so that you’re cutting back on some things (caution: minor pain ahead. It’s OK, it’s worth it), and add that extra money onto one of your debts until it’s paid off. Then take what you had been paying toward that debt, and add it all to paying extra on the next debt, etc. Call it a snowball, call it a debt ladder, whatever – just do it! If you scratched your head when you got to the word “budget”, above, don’t stand around scratching your head – go back to the blogs about setting up your budget (a riveting two-parter if I do say so myself). Slow your roll when it comes to your spending. Only you can determine how extreme your debt problem is, but you’ve got to make sure you’re living on less than you’re making, or the debt will keep piling up while you’re trying to pay it off and you’ll feel like you’re stuck in neutral. Be patient. As the saying goes, if it took you some time to get into this, it’s going to take some time to get out of it. Find a way to track your progress so you can see things getting better. Got questions? Need help? Ask away. My hope and prayer for you is that, if you find yourself burdened by debt from the past, you can say “no” and get unburdened sooner than you think, leaving you free to be to be more generous with your finances. Last Friday I had the tremendous opportunity to talk about personal finance with a group of recent college graduates for a few hours. We had a great time (well, I did…hopefully they did as well). They were engaged and asked great questions, mostly around planning for the future and wanting to invest their money wisely. We also spent a while talking about giving and the impact it has on our own lives and on others. Then I got the question I usually get, “what do you see happening next to our country’s economy” (Translation: “Can you please tell us the future?”). Why is this a good question? Usually because people want to plan better for the future, either to protect what they have or to know where to put what they don’t have yet but hope to get in the future. If you want to know how I answered, I told them what I usually say when I get this question, “I don’t know the future, but I know the One who does”. I’m sure I’ll spend time in future blogs getting down to some nitty-gritty detail about investing tips and such, but as I thought about the group’s questions driving home, it struck me that I’d been thinking about “investing” in a very narrow-minded way. When I stacked it up with what I’ve learned in my walk in the Christian faith, I realized that even though we’re encouraged to save diligently for future needs and responsibilities, we are far more often reminded that everything around us will fade away, so we should invest in things that last forever. And there it is. Do we need to save for future needs? Absolutely. But even more so, our hearts should be focused on what really matters in life, and our money and our investments should follow. I don’t know what this looks like for you – it could be giving to your church and the work they do, to clean water projects around the world, supporting orphans and their care, or even anonymously helping a single mom out as she tries to make ends meet. I leave that up to you, but the point of all this is to remind us all that while our money on this earth will come and go, rise and fall, what we give with a generous heart lasts forever.